As we all know, the internet has had a profound effect on most aspects of our lives. The way we live, work and play is very different today than it was just a few decades ago, thanks in large part to a network of connectivity that now encompasses most people on the planet. In a similar way, today we are at the beginning of a new technological revolution: the internet is entering the physical space — the traditional domain of architecture and design — becoming an ‘Internet of Things’, or IoT. As such, it is opening the door to a variety of applications that — in a similar way to what happened with the first wave of the Internet — can encompass many domains: from energy to mobility, from production to citizen participation. Welcome to the space of the Smart City — or, as we prefer to call it, the ‘Senseable City’. We prefer this term because it puts the emphasis on the human, rather than the technological, side of things: a city that is both ‘able to sense’ and also ‘sensible’. In a Senseable City, data is gathered to allow us to make more informed decisions, and to create feedback loops between citizens and the city. 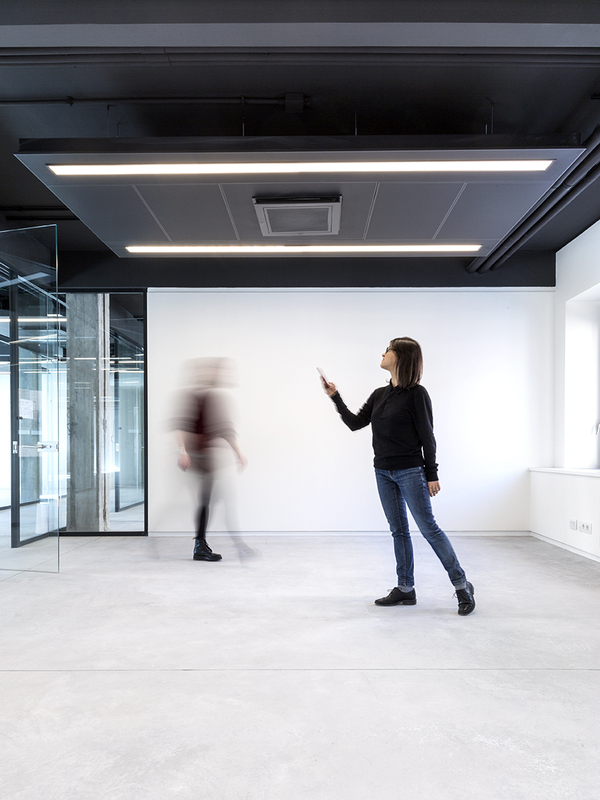 At CRA-Carlo Ratti Associati we recently completed the transformation of a renowned 20th-century building in Turin — the Agnelli Foundation — into a digitally responsive building. To reimagine the vision of the workspace, we augmented the architecture of the Agnelli Foundation with an IoT Building Management System (BMS). In doing so, each person can customise their experience of the workspace in a streamlined fashion. In collaboration with tech company Siemens, CRA has equipped the century-old building with hundreds of digital sensors that monitor different sets of data, including occupancy, temperature, carbon-dioxide level, and the status of meeting rooms. Using a mobile app, users can access the monitoring platform that enables collaborative actions such as interacting with other people, checking in, booking meeting rooms and regulating environmental settings. For instance, once a building occupant sets their preferred temperature and illumination settings, the BMS responds accordingly, adjusting the levels of lighting, heating and cooling. 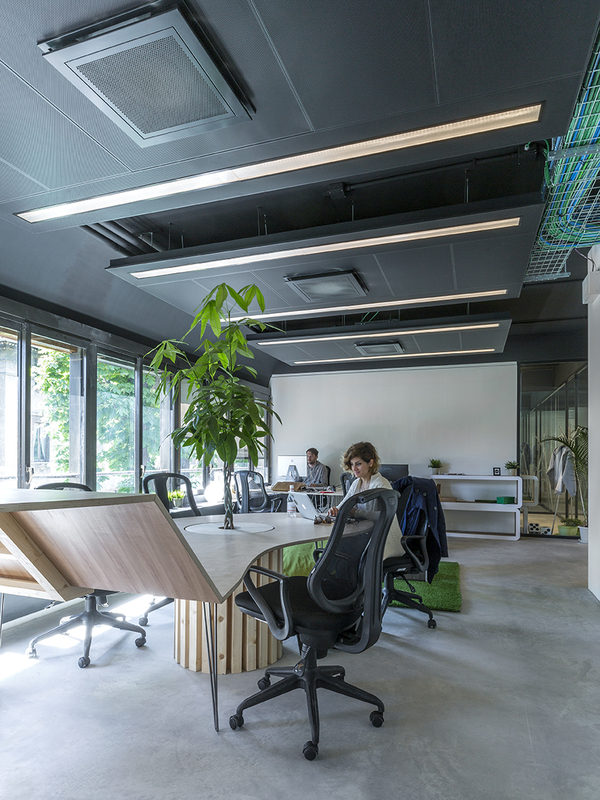 As the fan coil units situated in the false ceilings are activated by human presence, the system can follow occupants as they move throughout the building, just like an ‘environmental bubble’. When an occupant leaves, the room returns to ‘standby mode’ conserving energy — as a computer would do with a screen saver. Beyond energy efficiency, using occupancy information we can provide a platform for people to access the building, book meeting rooms and schedule encounters. In other terms, occupancy becomes a valuable platform for improving a crucial aspect of today’s office spaces: fostering human interaction. This is just an example, but it demonstrates how pervasive sensing can affect the design of the spaces we inhabit. The availability of such data is an old dream of architecture and planning. Ildefons Cerdà, the father of modern Barcelona, was one of many who dreamt of a more quantitative urbanism: ‘The building of cities, if not so already, will soon become a genuine science that calls for major and profound search in every branch of human knowledge,’ he wrote in The Five Bases of the General Theory of Urbanisation in 1859. In a similar way, during the second half of the 20th century, urbanist William H. Whyte used on-site cameras to capture human user-flow inside New York’s buildings and public spaces. His methods were insightful but labour intensive. Today, with the proliferation of hand-held electronics, data collection has become effortless. The understanding of human movement could radically transform design. If architecture is a kind of ‘third skin’ — after our biological one and our clothing — it has long functioned more like a corset: a rigid and uncompromising addition to our body. New digital technologies and distributed intelligence have the potential to transform it and give form to an endlessly reconfigurable environment. In the future, we could imagine an architecture that adapts to human need — a living, tailored space that is moulded to its inhabitants’ requirements, characters, and desires.